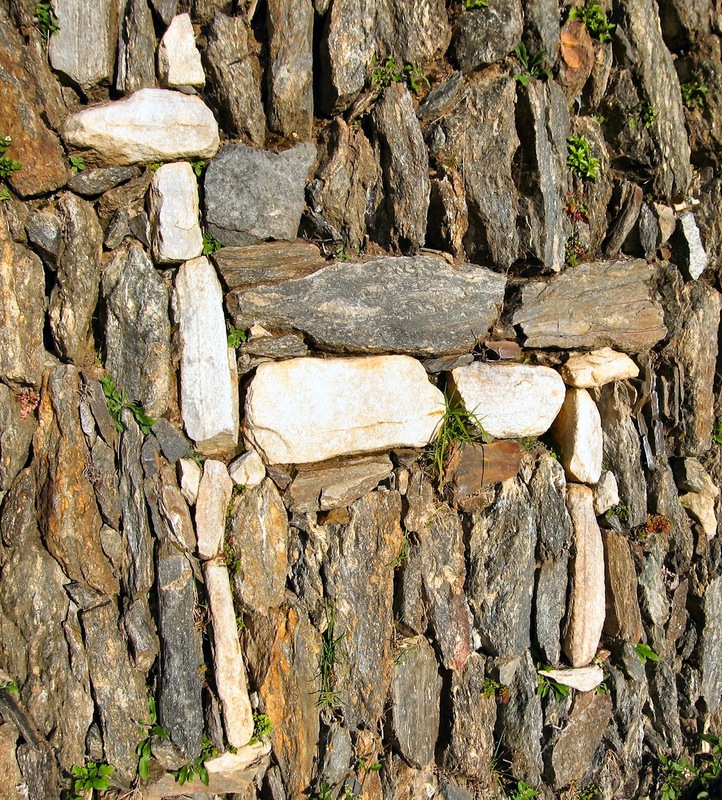 Choquequirao means "cradle of gold" in the Quechua language. 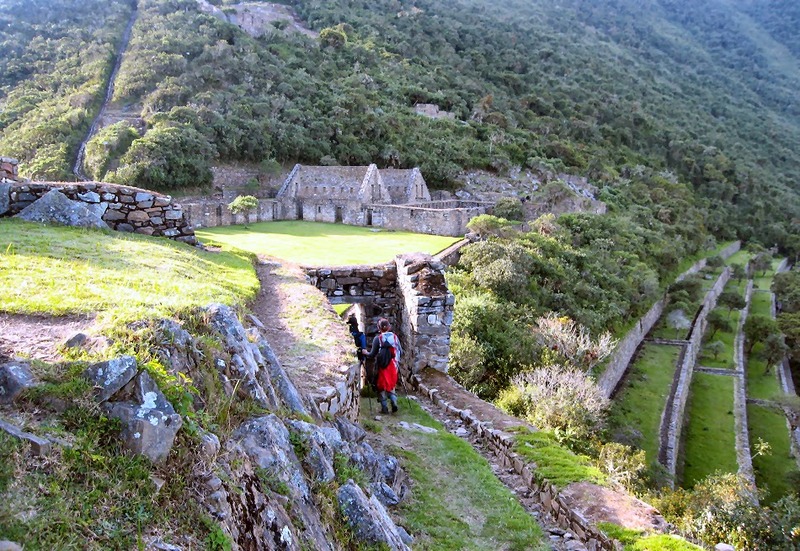 We decided to make the hike down beyond the main ruins to visit the Llama Terraces. These incredible structures were only discovered in 2004 and they were almost entirely intact, requiring no reconstruction. 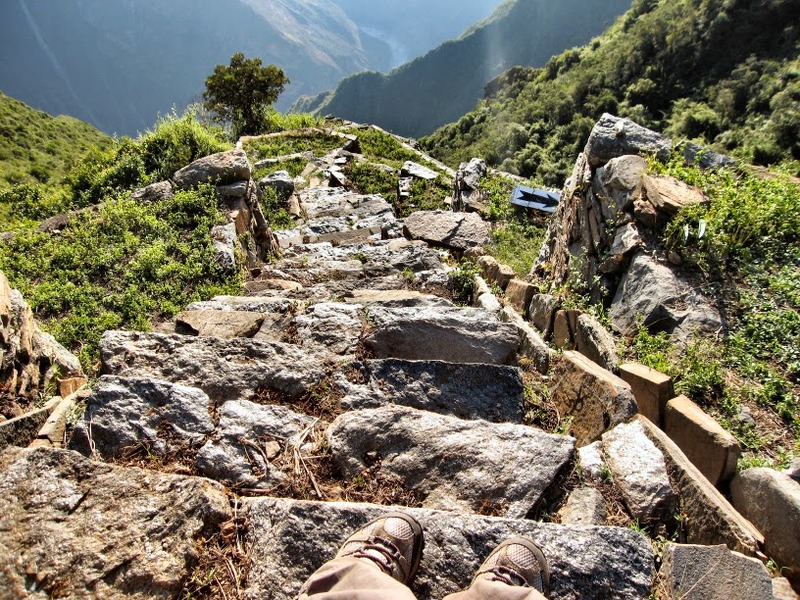 The walk down to see them is pretty steep and the steps that the Incan’s used to access them are even steeper. Walking down them and looking into the valley below gave me a bit of vertigo, so I only went a little way. We were lucky to see them—usually the 4-day trek does not include them because there is not enough time. The trade-off was that we walked back to camp in the dark—which meant that I walked even s-l-o-w-e-r! But dinner was ready when I arrived! Looking down the steep steps next to the Llama Terraces. 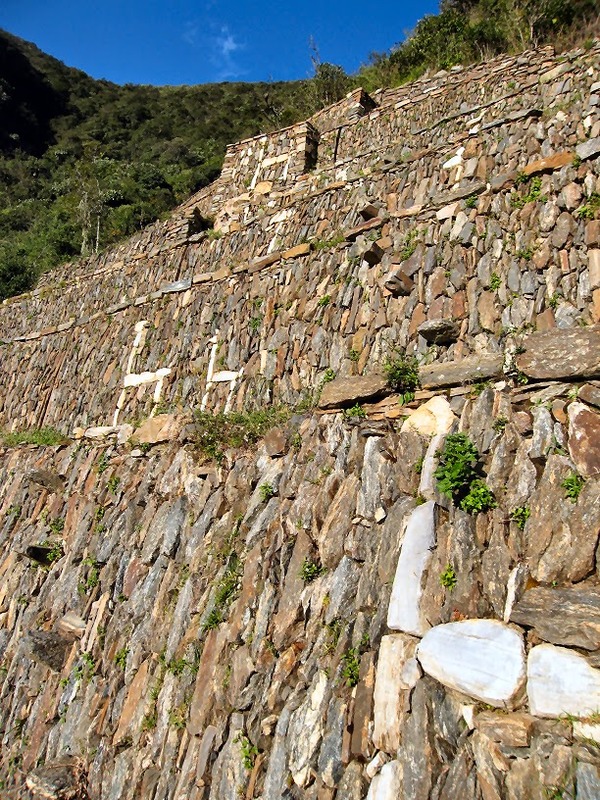 Up next: Choquequirao Part III: Down and Up—AGAIN!